You’ve winked at The David’s bum in the Accademia and glared at all of the selfie sticks on ponte santa trinita. Another reason I hate bucket lists is that posting online that you’ve visited 120 places in three years sounds a bit arrogant, after all quitting your jobs and traveling the world isn’t really feasible for the majority of people. 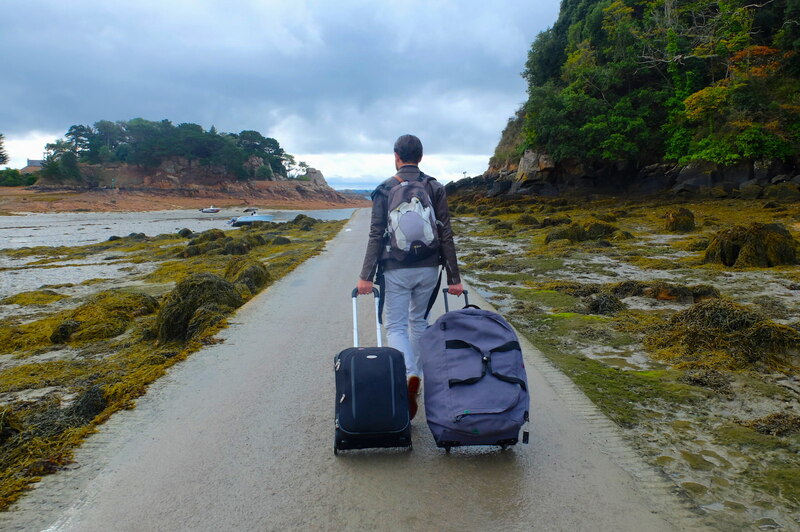 I love to travel, actually its safe to say I live for it. But coming back to the same places in Europe with a need to rush is something pretty special. The third, fourth or twentieth visit to a city is extremely liberating for a variety of reasons. Perhaps you’ve learned a little of the local language, picked up a bit of slang, found a favorite local coffee bar and made a few friends. Getting to know a country slowly is the way to go, they weren’t meant to be ticked off any lists. They are meant to be savored until the last drop, a bit like a glass of barolo red wine. You don’t take shots of good wine, you sip dammit! Obviously, this is just my opinion anyway. 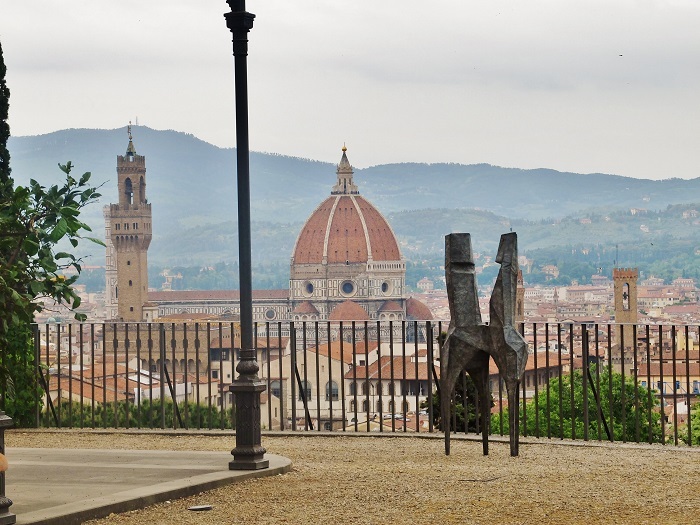 I’m constantly on the hunt for interesting spots in Florence and here are three alternative places to visit along with all of the rest. I have a list of places I personally adore right here. Feel free to comment and share places you personally love, I always appreciate it! I have lived in the city of Florence for over 9+ years and it’s sad to say, haven’t noticed some of the museums right under my very own nose. 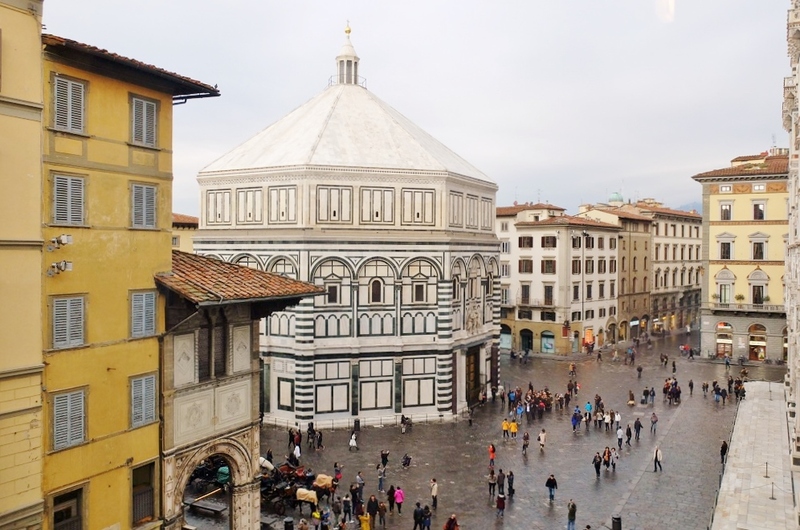 In fact one such place is located in piazza duomo, you know that huge square with a sort of famous cathedral that we all adore? Yet thanks to guide Alexandra Lawrence, who arranges these fab visits to lesser-known spots around Florence, I managed to wake up early on a Saturday morning to discover something new. In this instant, it was the Misericordia museum in Florence (the cover photo of the post was taken from one of the windows) which has just finished being renovated. You probably have passed by it a million times, in this palazzo pictured below on the corner of via calzaiuolo, and you’ve probably heard their sirens all over town, as they run the ambulance system in the city. The museum showcases the story of one of the oldest charitable institutions in the world. 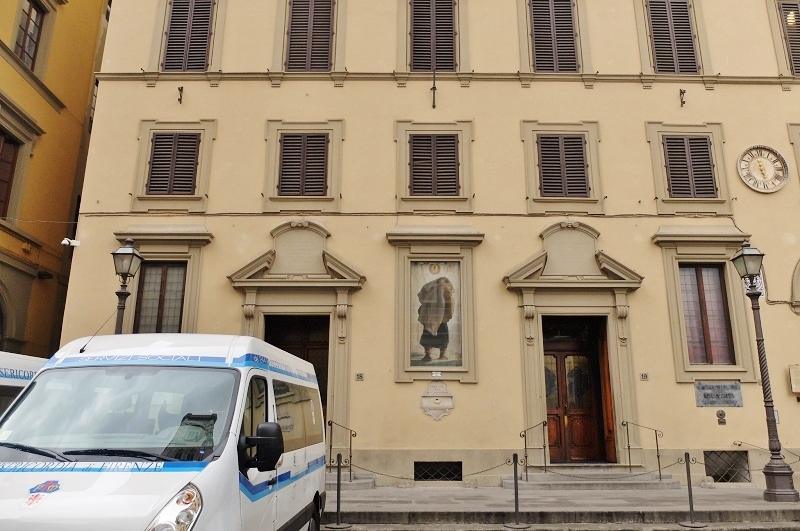 The museum of the Venerabile Arciconfraternita della Misericordia spans seven centuries of this voluntary association that dates back to 1244 founded by the Dominican friar San Peter the Martyr. The main duties of the were transporting sick people to hospitals (which they furnished and ran) and performing the very noble act of burying the dead, all in anonymous black tunics that covered the men from top to bottom. This was all funded by private donations and the laymen who volunteered felt it an important part of their civic duty. This was especially important during times of the plague, which first hit Florence in 1348 and decimated the population, they were always present, during various wars and floods — including the great disaster in 1966. Alternatively, they also helped to provide dowries for girls of poor backgrounds looking to get married. Walking in, you can spot a facsimile of names of those who participated, the very first name was Lorenzo ‘The Magnificent,’ one of the Medici heirs that probably was the most well known. As we moved from tight room to tight room (not really ideal for big groups) I spotted paintings depicting a different Florence, a Duomo with the facade still not completed, a dead men in the piazza, being taken away by the Misericordia. There are also many items that were once used in the confraternity’s daily lives, such as “bussolotti” or black and white wooden balls used for voting and the “zana” basket used to transport sick people. You can visit Monday or Friday from 10-12pm, 3-5pm and Saturday mornings. The museum is small, but highly interesting, and there is also texts in English. While it costs nothing to visit, donations are appreciated. The space is managed entirely by the volunteers of the Misericordia of Florence. Next door to the Misericordia is the Museo del Bigallo, which I recommend visiting together. 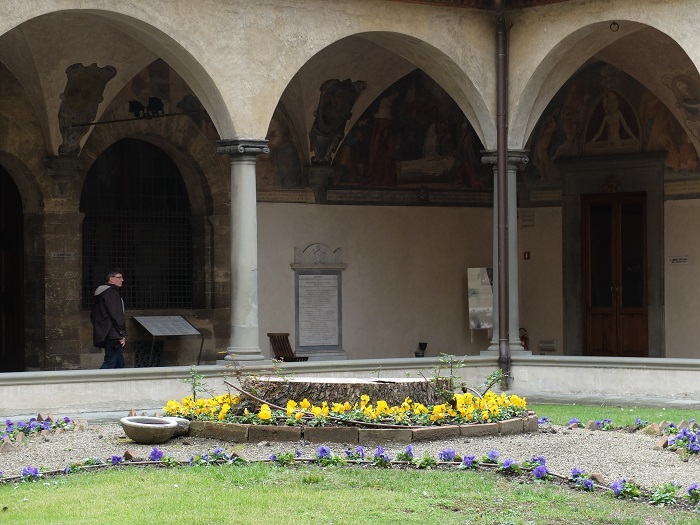 You’ve probably seen the small loggia (circa 1342) which was once the headquarter of the Misericordia for two centuries, where it all began essentially. The two confraternities merged in 1425 and split a century later which is when the property next door became that of Misericordia. What makes this so interesting to me is how much of an important part of Florentine civic life this service was and all of the rituals surrounding it, this was of course before you could call ‘112-118’ in case of an emergency. It goes to show you advanced this civilization really was at this time to create such an incredible service. 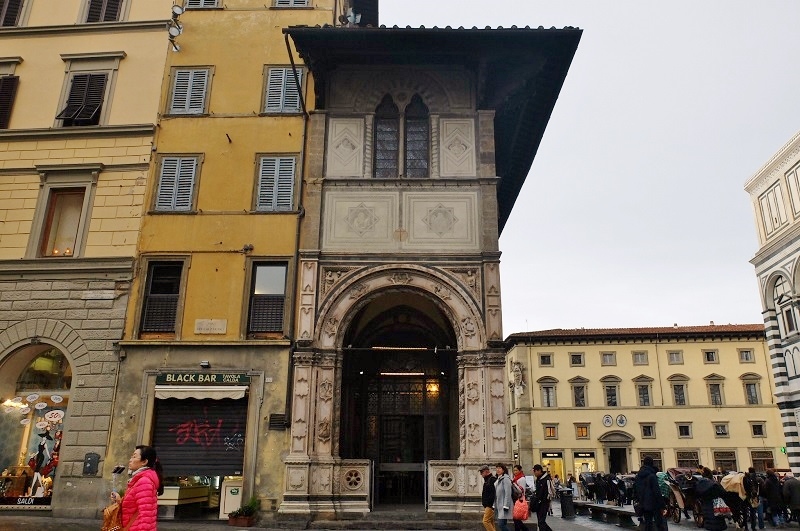 Just think, this small loggia was present as the final construction details of the Duomo were finalizing, can you imagine this time in Florence? Inside the Bigallo, you can see beautiful frescoes depicting orphans being adopted by foster families in a very touching Florentine scene. This also gives you insight on what people looked like back then, Alexandra pointed out the complicated braids and hairdos of some of the women which clearly meant they were nobles. You can also see the beautiful 14th century Madonna of the Misericordia (The Madonna of Mercy) painted by Bernardo Daddi in 1342 which depicts a fascinating 13th century view of Florence. The Bigallo is open from Monday to Saturday 10.30-16.30 and Sunday 9.30-12.30. (free) Admission is every half hour, call +39 055 288496. 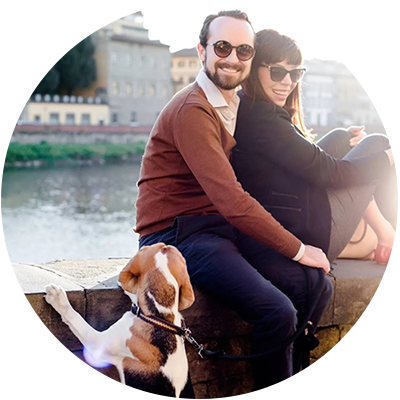 If you need a guide, shoot Alexandra Lawrence an email at exploreflorence@gmail.com, and get on her mailing list for future walks. Yes folks, there is more than one amazing garden in Florence, Italy. In fact, there are actually a few worth noting. While I won’t go into all of them today, a favorite of mine is most definitely the Bardini Gardens, an Italian Renaissance garden with a spectacular view of the city. 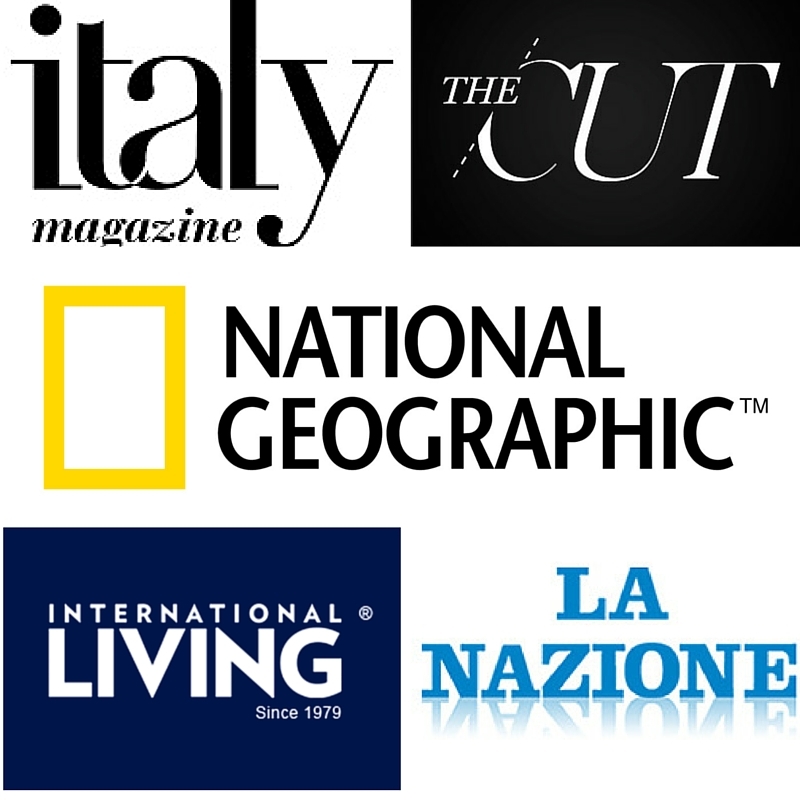 I discovered them only recently myself, when I tried a fantastic restaurant that is located in the museum complex, La Leggenda dei Frati. These gardens were first owned by the Mozzi family, before bought by Stefano Bardini (an antique dealer who has his own dedicated museum) and later donated to the state which left it to disrepair. Later it was taken over by the La Fondazione Parchi Monumentali Bardini e Peyron that has restored this place to its former beauty. Inside the villa, you can see the permanent collection of works by Pietro Annigoni and they often host temporary exhibits. From the terraces you can see the Duomo cathedral clear as day and it is much less crowded than Piazzale Michelangelo and the Boboli Gardens. Check out their website and FB page for updates on musical concerts and other events that they host here, it’s a lot of fun! Phone: 055 2006 6206, Ticket € 8. Additionally, there the Torregiani gardens in the Oltrarno is one of the biggest private gardens in Europe ,between via de’ Serragli and via del Campuccio . 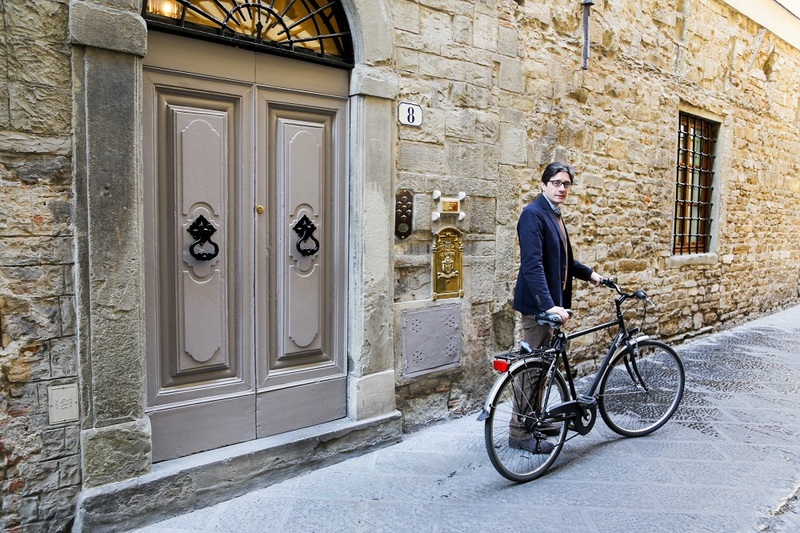 You have to make a reservation but I promise you it’s worth it, even just to see the living quarters (sort of) a real life noble family in Florence. If that wasn’t cool enough, you can now stay inside — as a brand-new boutique hotel just opened, the lovely Ad Astra hotel, which gives you a bird’s eye view of the observation tower. You might have already guessed that I am referring to the San Marco museum, a truly cool coomplex in the north end of Florence, near a busy transportation intersection. 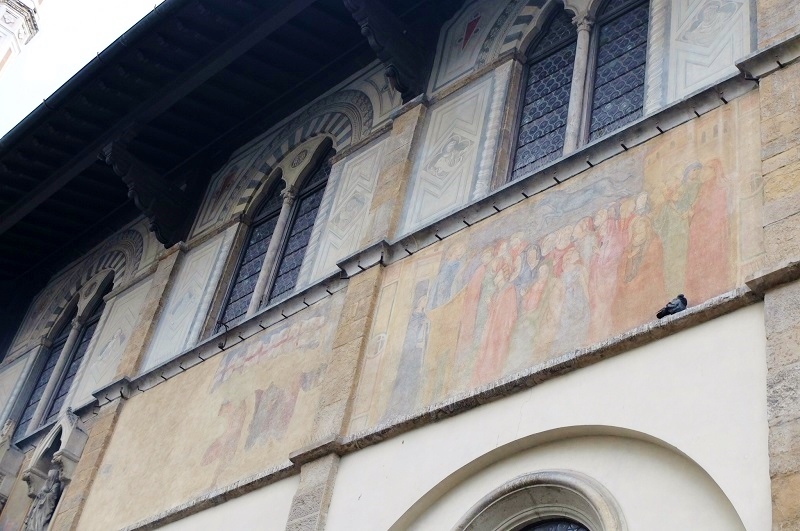 I’ve already written about it in this post regarding the newly-restored Michelozzo library inside of San Marco but I implore you all — check this place out. The frescoes by Beato Angelico, otherwise known as Fra Angelico, are incredibly beautiful and the architecture is so perfectly preserved, it is a great window into convent life during that time. In fact, it’s the kind of place that is really best visited with a guide. And if that isn’t enough, come to see the cell of Girolamo Savonarola, and his creepy hair-shirt (a rough animal-hair ‘garment’ worn under your clothes as a penance). 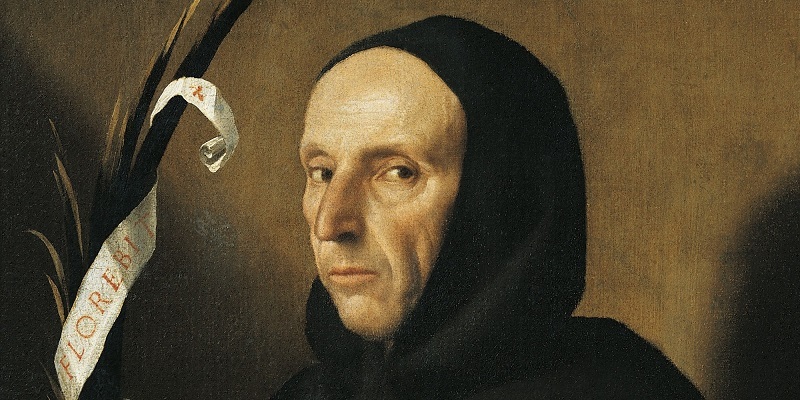 When I first came to Florence, I learned all about the various stages of Florentine political life, including the tumultuous time when this famous Dominican friar named Savonarola got everyone’s underwear into a twist with his fiery speeches against the excesses of the church. A moral dictator by nature, he was against corruption, exploitation of the poor and anything fun. At first embraced by the Florentine public, they later turned against him when he wouldn’t walk on fire (woops!) who then killed him in piazza della signoria (you might have spotted the plaque). In fact, they were so pissed, they even beat the crap out of a bell from the San Marco convent. Once again, you really don’t want to mess with Renaissance Italy. That’s all for now folks. The list of places I could have put here probably would have been in the dozens which means I either need to write more or perhaps even a downloadable guide. In fact now that I think about it, I should have added the Stibbert museum.. Let me know what places you think deserve a little more notice and credit in the city. Catherine I thank you for letting me know, no offense taken — seriously! The Torrigiani garden is magnificent! What a great article! I didn’t know that about the museums near the Duomo and definitely going to check them out. Also appreciate the info on the secret gardens which I’ve marked to visit. Thanks also for letting me know about this Sunday’s free entry to certain museums! Would love to hear more about these hidden gems in high profile places. Hey there! Thanks for you checking it (between sardetching of course) out! So every Sunday of the month all state museums are free to the public, in fact these guys have more info on that http://www.discovertuscany.com/blog/free-museums-the-first-sunday-of-every-month-3052/ and it is a great thing for us locals too! If you are a resident here the city museums are also free. I know you will love the gardens, both are truly special places that warrant a visit or three. I will certainly be writing more about these things. 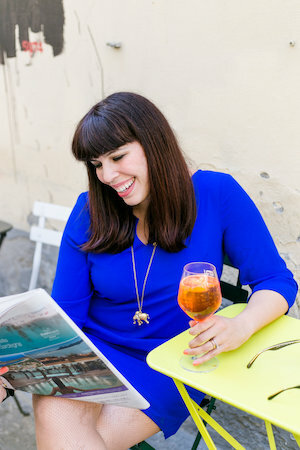 I’m working on a guide to the Santo Spirito neighborhood shortly :). My pleasure Maria! 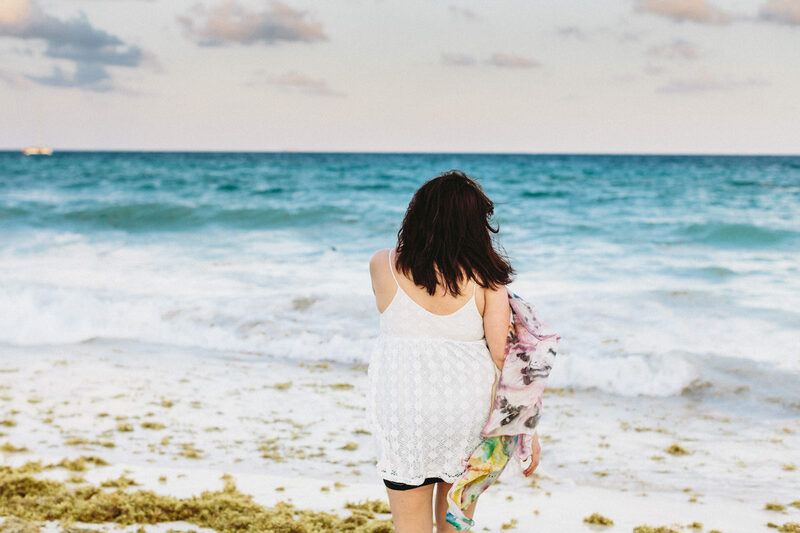 There is so much to experience here as you know and I’m still learning about it all myself! Can’t wait to see you! How about the Farmacia di Santa Maria Novella, down the street to the right of the Church – it’s on the right as you walk down there. San Martino is a good place to go. Lovely Ghirlandaio (school of) frescoes. It’s run by the Buonomini who do charitable work and are still helping people today. Close to the back of Coin and opposite the Garibaldi museum, little piazza at the end of via de’ Magazzini – we visit once a year. Thank you for the tip Annie, I’ll definitely go and visit. It’s amazing how many get I still have yet to discover in Florence.. I agree, I love these smaller museums, especially The Bigallo, which is a few doors down from my rental apartment. The idea of orphans being displayed for adoption on the loggia amazes me. I have yet to visit its neighbor, the Museum of the Misericordia, having been put off my the ambulances and beggars stationed out front, but will on my next trip. 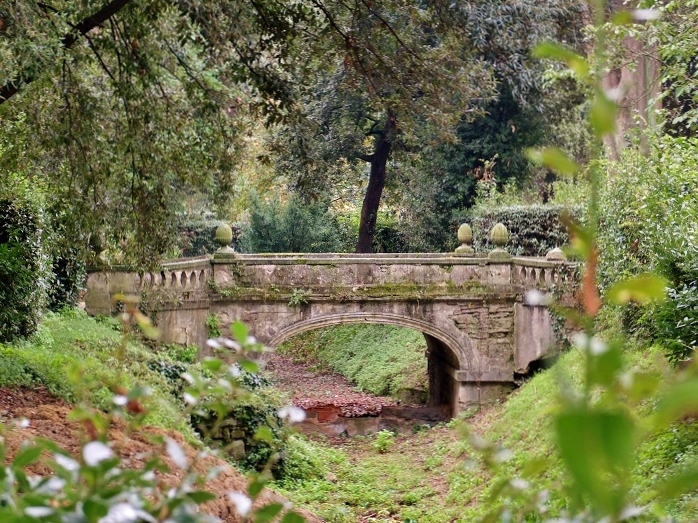 The Bardini Gardens are a favorite, and a fantastic escape from tourists. Thanks for this very informative post, I’ve added two new sites to view. Of course, the Chapel of the Magi remains a perennial favorite. I have traveled twice to Florence with an American Tour group. And have had the luck to visit the Miseracordia museum as well as the Torrigiani Gardens and the San Marco Museum. We also were honored to have visited the Corsini Gardens having been welcomed by the Princess Corsini. Have you ever been to the Palazzo Gondi? Still run by the Gondi family who were compatriots of the Medici’s although not as famous. They do offer private tours and well worth a visit. Called Hidden Florence it was one of the best trips I’ve ever had. And I’d do it again. Around the corner of San Marco there is a very tiny thing that’s called: Chiostro dello Scalzo. It’s in Via Camillio Cavour. It is only one room with frescoes of Andrea del Sarto. Entrance is free. I’ll be back in gorgeous Italy soon. I can’t wait to go to the Bardini gardens! Thanks for the tip. I sure have and I always recommend people to stop by as the location itself is absolutely beautiful as is the fascinating history after WWII. Don’t forget the English Cemetery, final resting place of Elizabeth Barrett Browning, Theodore Parker, and many others, in the middle of Piazza Donatello. The opening scene of “Tea With Mussolini” was filmed there.